Pressbooks saves the previous 25 versions of each chapter and part in a book. 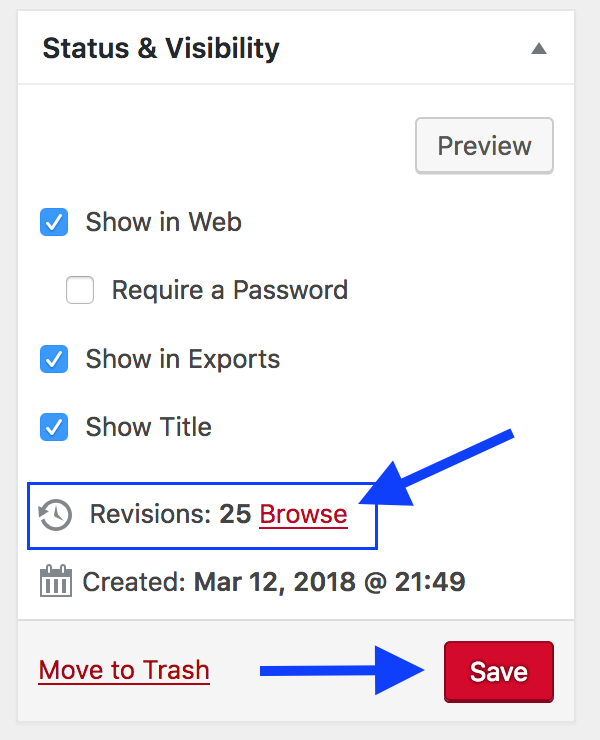 These are useful if you want to review changes or return to a past version of your work. On the Compare Revisions page, the most recent version is posted beside the current version (which appears on the right). You can view older versions by moving the horizontal scroll bar positioned near the top of the page. At the top right of the screen, there is a Compare any two revisions option, which allows you to view any two versions side-by-side. If you find a version that you would like to restore, click the Restore This Revision button. 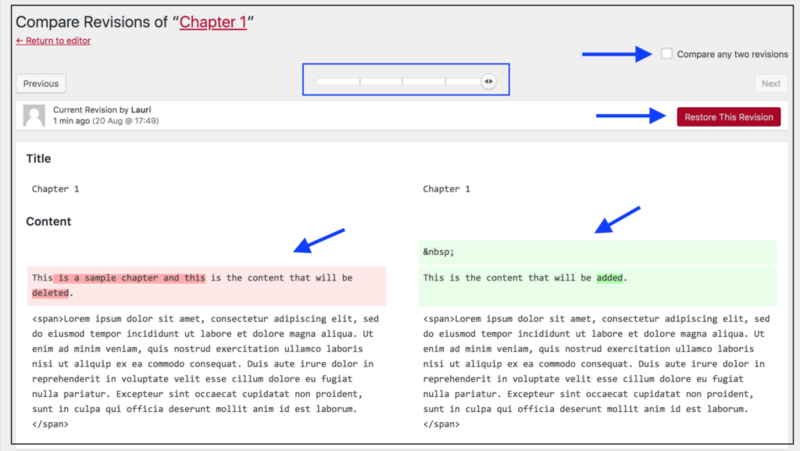 Deleted material is highlighted in red and new material is highlighted in green. Revisions Tool by Lauri M. Aesoph is licensed under a Creative Commons Attribution 4.0 International License, except where otherwise noted.